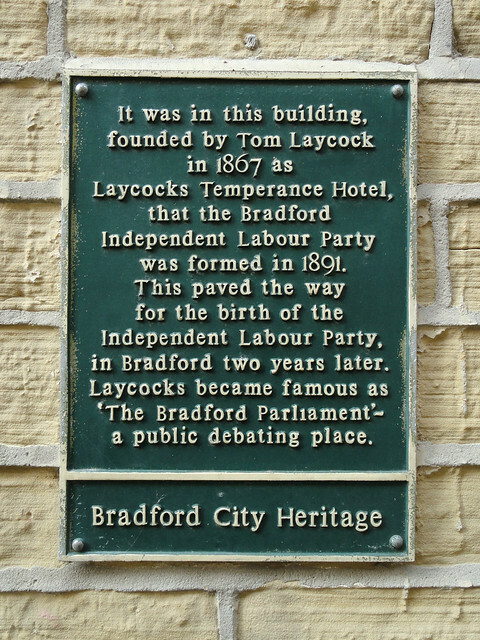 It was in this building, founded by Tom Laycock in 1867 as Laycock's Temperance Hotel, that the Bradford Independent Labour Party was formed in 1891. This paved the way for the birth of the Independent Labour Party, in Bradford two years later. Laycocks became famous as 'The Bradford Parliament' - a public debating place.